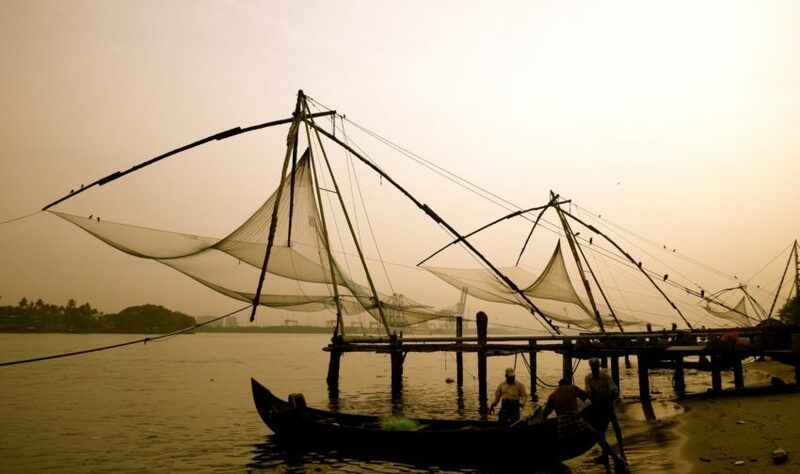 The Kochi Chinese fishing nets are one of emblems of Kerala. On the India’s Cup rally we drive throughout much of Southern India, from the bustle of Chennai to the glorious beaches of Goa, with a lot of amazing places in between. 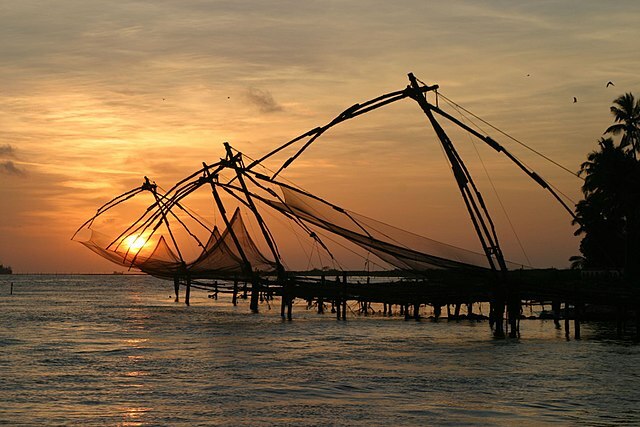 It’s hard to beat the state of Kerala, with its mix of culture, nature, and cuisine. 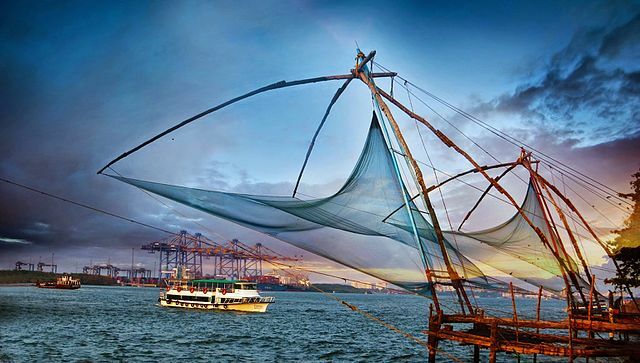 Known as the Land of Spices, coastal Kerala has been a trade hub for centuries, which is why the town of Kochi has famous old fishing nets from China. Still used today, these nets are a symbol of the city. 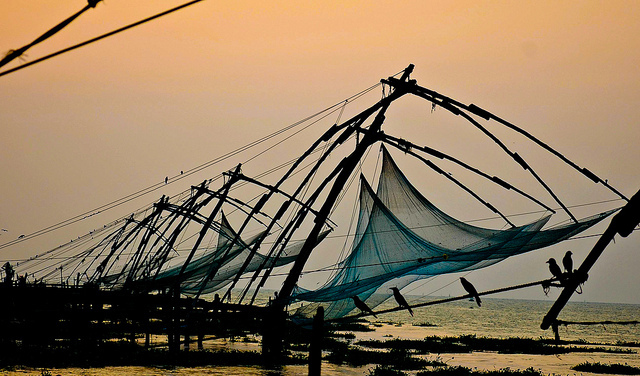 Marvels of design, here are our favourite photos of the Kochi Chinese fishing nets. 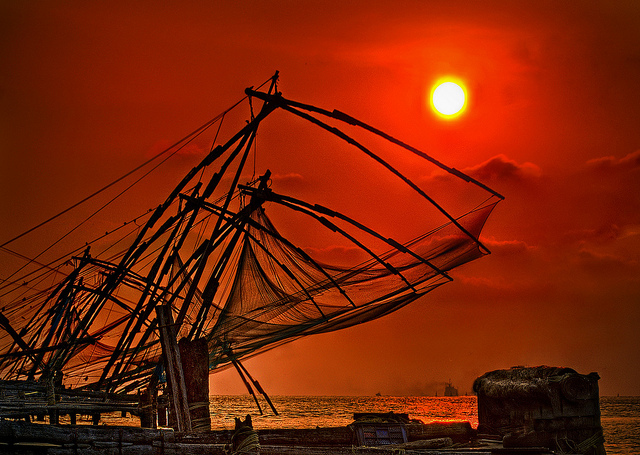 Kochi has been an important trading center for thousands of years: it was known to the Ancient Greeks and Romans. Its importance was later documented by the earliest European explorers. 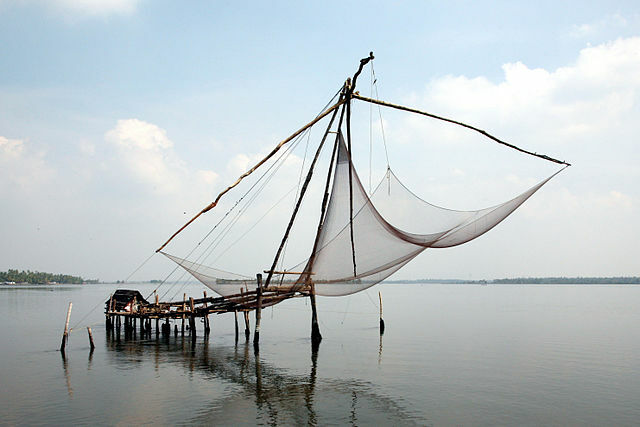 The fishing nets are believed to have arrived from China in the late 14th or early 15th Century. The nets may have been introduced by Zheng He, the Chinese explorer, who travelled in the first few decades of the 1400s. Kochi was the first European settlement in India, founded by Portuguese sailor Pedro Álvares Cabral in 1500. It was later ruled by the Dutch, then British. The fishing nets are all at least 10 meters high, with nets stretching out at least 20 meters across, and operate using a precise system of ropes and counterweights. A popular tourist attraction, the slow-moving nets have a hypnotic quality. Better yet, the catch can be freshly cooked on the nearby street!